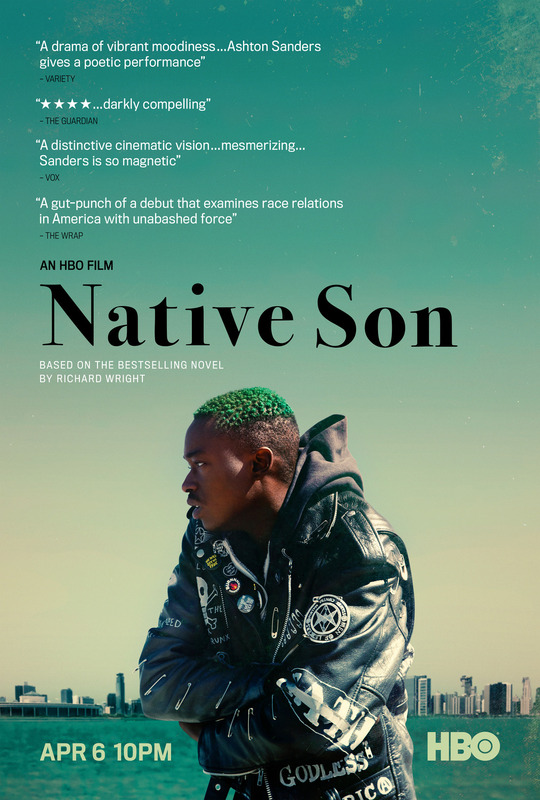 Native Son is an adaption of Richard Wright's 1940 novel of the same name. A bestselling harrowing study into Blackness and how being different can have consequences to how people percieve an individual, as well as the behaviours you may impose onto yourself to live up to setting yourself apart. The book is brought to life with stylistic dialogue punctuated with poetic narration by playwright Suzan-Lori Parks, with a just as potent a directorial feature debut from Rashid Johnson. This isn't a story for everybody as it may come across too artful, but the adaptation manages to make it into a sweeping contemporary that anyone can get into and relate to for different reasons. The highly talented Ashton Sanders (Moonlight) plays Bigger Thomas. A young adult who veers from the stereotypical young Black man from mindset to physical appearance- he dresses as though he's in a punk-rock band, and has his nails painted black. This behaviour throws his Black counterparts and his white acquaintances off as he's expected to fold into a particular pattern. Ashton plays the role like a pro, and never once fails to bring forth the crude parts of being different by nature, especially as a Black person. The supporting cast, Kiki Layne (If Beale Street Could Talk) and Nick Robinson (Love, Simon), are as compelling as Ashton, which helps drive the film's narrative and quality higher. This film is intentionally uncomfortable from beginning to end. If you're from a certain race or the other, you'll immediately relate to some of the uneasy situations Bigger finds himself in while interacting with white people. This film investigates and confronts racial imbalances honestly and unapologetically. This is a film not interested in architypes, stereotypes, or even getting political, which the main character very clearly substantiates at some point. But even then, the film itself has no choice but to go there. That's just how life is set up for Black people. Your skin will always make sure to keep you the most common-denominator no matter your difference in behavioral patterns, music taste, your choice of clothes and even the crowd you choose to be around. When it comes down to it you're Black or brown, and that means that the worst is expected of you/waiting for you. This film is a short and sweet little punchline on Blackness and the constant threat and misery that you face being Black or brown, no matter the opportunity or stakes. I think it's not often that you witness such a loaded film that presents itself so calmly, so simply, so quietly violent. And that's mostly why you should watch this film immediately!